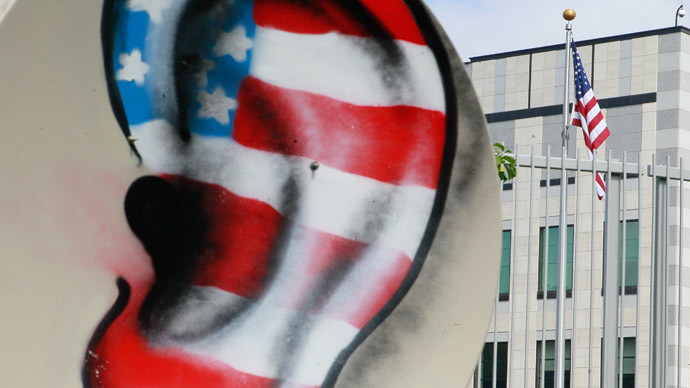 The Council of Europe lashed out at Britain for destroying hard drives containing leaked information on the NSA, saying if Russia did the same thing the media would be all over it, and the West should apply the same standards to itself. The Strasbourg-based Council of Europe has demanded an explanation from UK officials as to why they ordered the destruction of computers owned by The Guardian. This was after one of the newspaper’s journalists, Glenn Greenwald, broke the story that the National Security Agency was collecting telephone and internet metadata on millions of people around the world. "These measures, if confirmed, may have a potentially chilling effect on journalists' freedom of expression as guaranteed by ... the European Convention on Human Rights," Council of Europe Secretary-General Thorbjoern Jagland said in an open letter to British Home Secretary Theresa May. Britain's Home Office declined to comment on the European Council's letter late Wednesday, AP reported. The Council of Europe oversees the European Court of Human Rights, which enforces the human rights code signed by the council's 47 member states. "We must protect journalists no matter where they work. They do some fundamental work for democracy across Europe. But of course we respect if there are national security concerns and I’m sure the UK government will respond accordingly,” Daniel Holtgen, Director of Communications at the Council of Europe told RT on Thursday. Holtgen said the words "chilling effect," used to describe Britain’s reaction to The Guardian story, had previously been used in reference to countries with a reputation for poor human rights. "Rarely has there been the case that we've expressed concern over a Western state," Holtgen was quoted as saying by AP. "The bottom line is: We have to have the same standards." Holtgen posed a rhetorical question: What would have happened had a journalist's partner been detained in Moscow, or if a Russian newspaper had had its hard drives smashed? "You would have the Western press all over Russia." "We need to apply the same standards to Western countries -- including founding members of the Council of Europe, such as France, the UK or Germany," he said. "It's not an explicit, harsh criticism, but it is a reminder that we are following this." 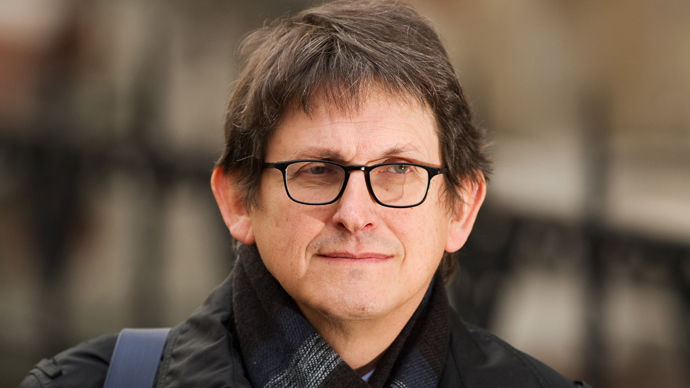 Alan Rusbridger, The Guardian’s editor-in-chief, told BBC Radio on Tuesday that he agreed to the "slightly pointless" task of destroying the hard-drive copies of the NSA data because the newspaper is in possession of digital copies outside Britain. They contain documents provided by former CIA employee Edward Snowden, who blew the whistle on the US surveillance program and is now living in Russia, where he has been granted temporary asylum. 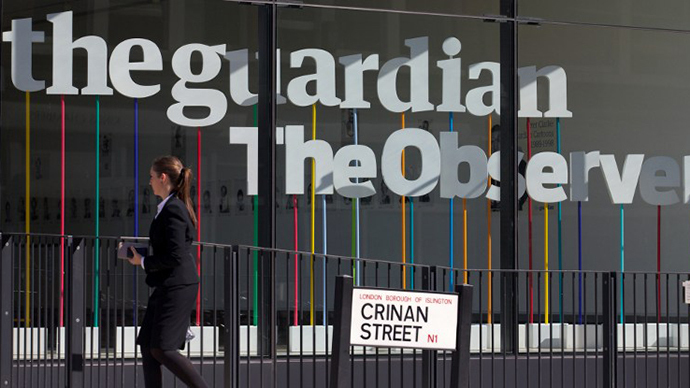 UK Deputy Prime Minister Nick Clegg said the leaked data in the possession of The Guardian could have compromised national security if it had to fallen into the wrong hands. The human rights group also questioned the detention of Greenwald's partner at London's Heathrow Airport on Sunday. 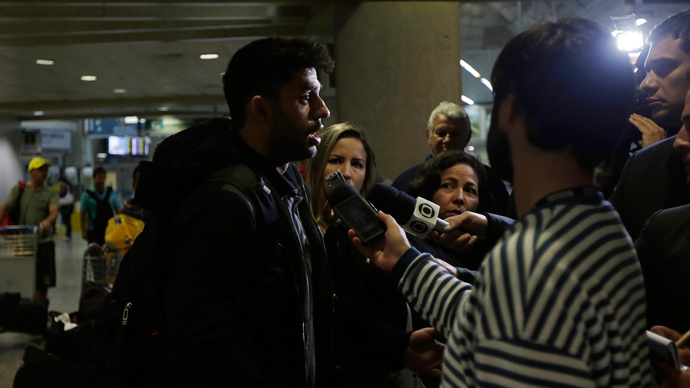 The incident was reported by The Guardian, which said that David Miranda, 28, was questioned by British authorities for nearly nine hours. Miranda’s electronic equipment - including a laptop, cell phone, and USB sticks – were confiscated and have not been returned. Right groups slammed the move on the part of London police, which used Britain’s controversial anti-terrorism legislation to apprehend Miranda. UK officials, meanwhile, attempted to justify the detention of Miranda on the grounds that he was believed to be carrying classified information that could aid terrorists.